Description: To 90cm long. Body is slender. 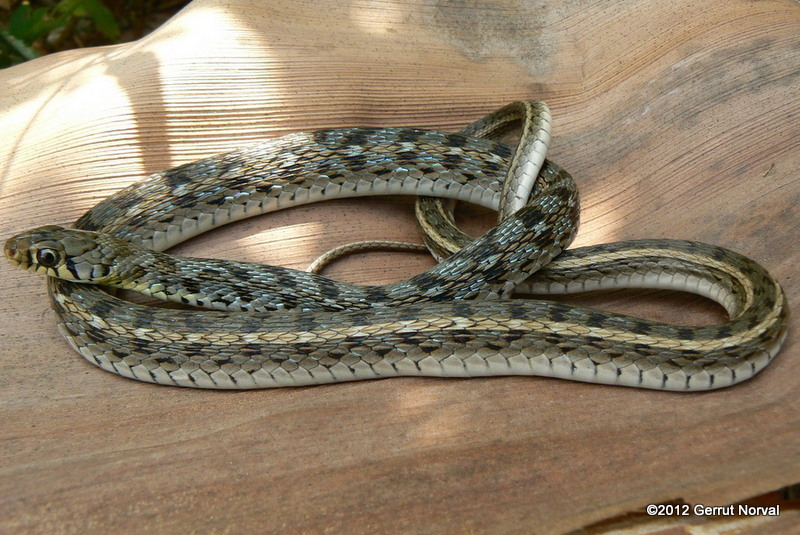 Color is olive-gray to brown with characteristic white, buff, or cream stripes along each side. 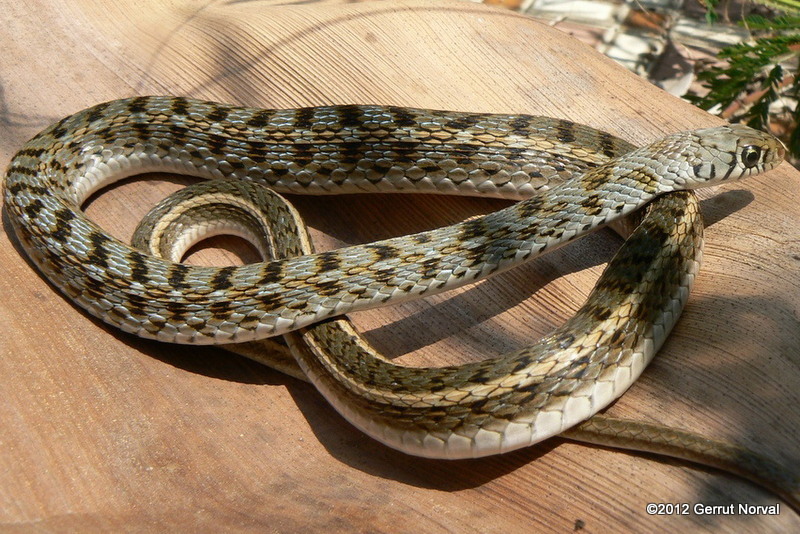 Regular narrow dark bands also appear on most of the body, fading out near the head and tail. 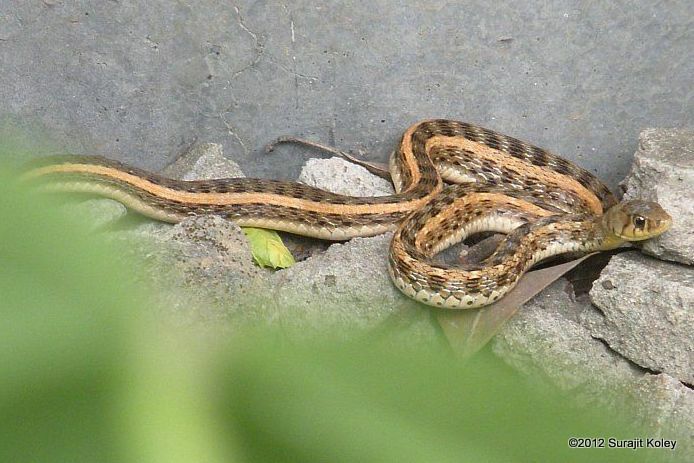 Head is sometimes greenish-brown to beige. Eyes are large. Underside is white to cream. 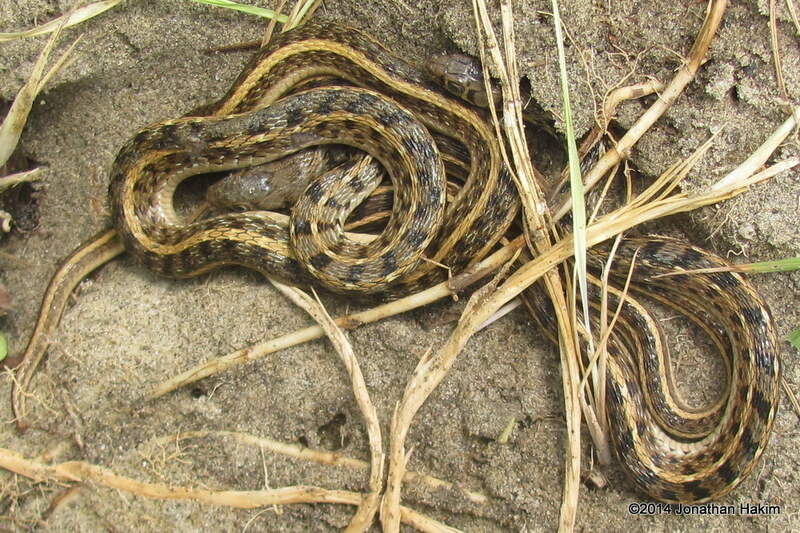 Similar Species: Yellow-spotted Keelback lacks the characteristic buff stripes. 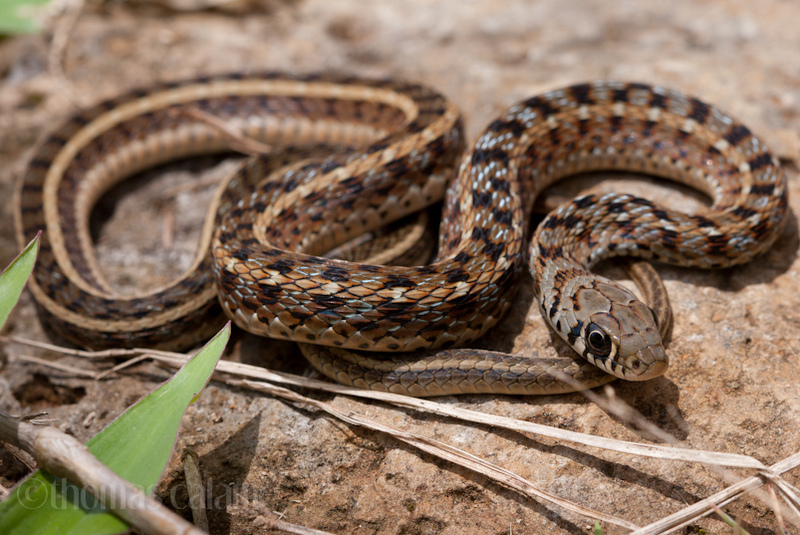 Red-necked Keelback lacks the buff stripe on the side. 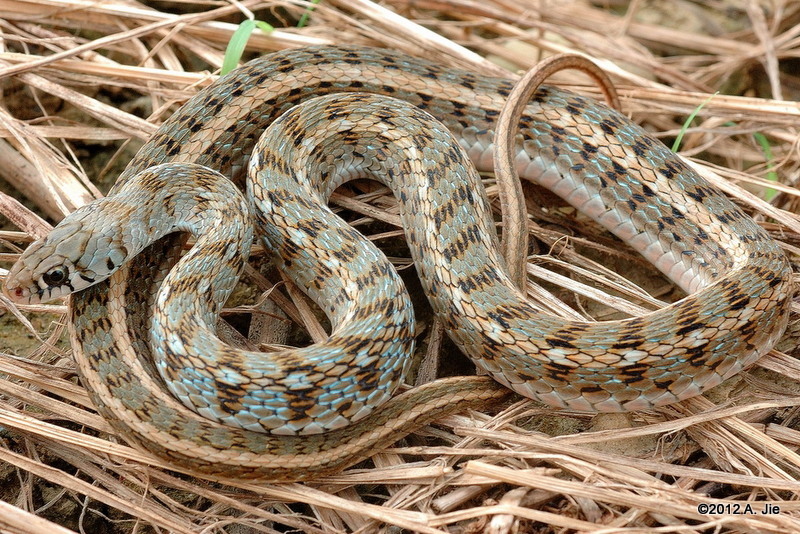 Indo-Chinese Sand Snake has brown stripes on either side of the light stripes and lacks the dark bands. Habitat: In marshes, wetlands, irrigated agriculture, and other relatively open areas near water bodies. During rainy season they may be found in fields. 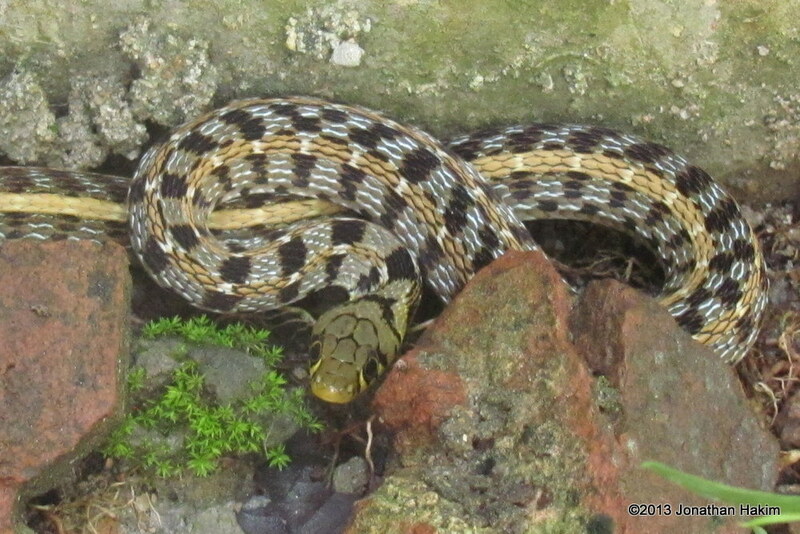 Contribution to the ecosystem: The Buff-striped Keelback helps control frog and toad populations. 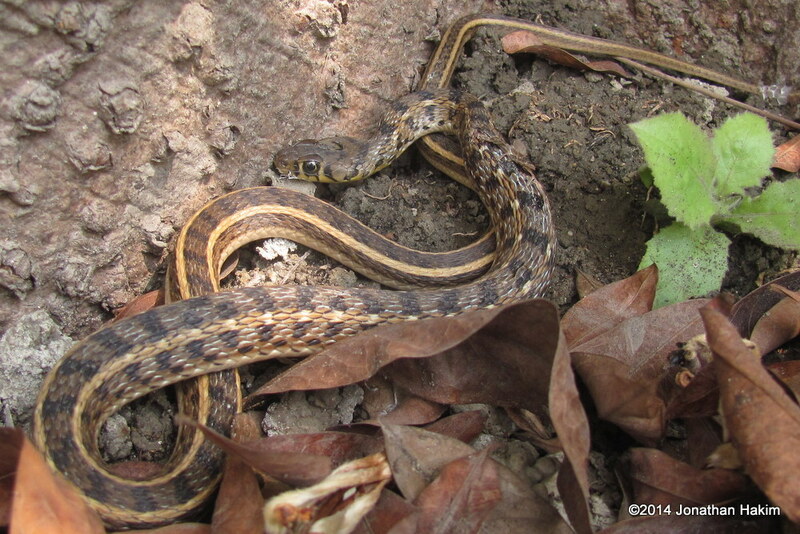 The juveniles are eaten by larger snakes, monitors, large fish, wading birds and birds of prey. Danger to humans: This species is nonaggressive and will typically flee when faced with danger. Its bite poses no danger to humans at all. Conservation status and threats: No known conservation threats overall. There are historic records for Bangkok, but I know of no recent records and it is possible that its habitat in Bangkok no longer exists due to development. 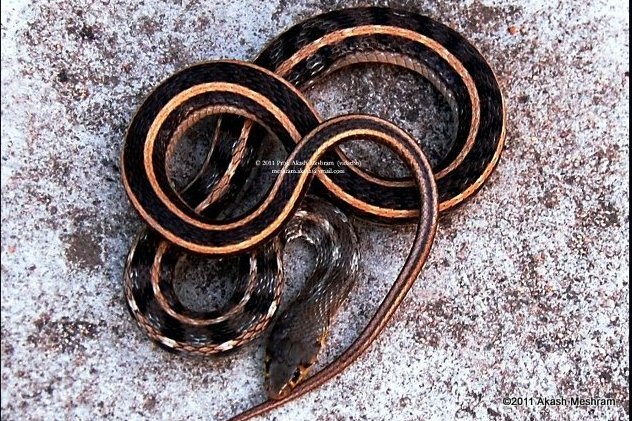 Interesting facts: Like several other species of snake, the Buff-striped Keelback practices a small degree of parental care, with female snakes remaining with their eggs until they hatch.